Deck the lives of the people closest to your heart with love by sending this Classic Gift Set for Unforgettable Moments that beautifully conveys the message of your heart to them. 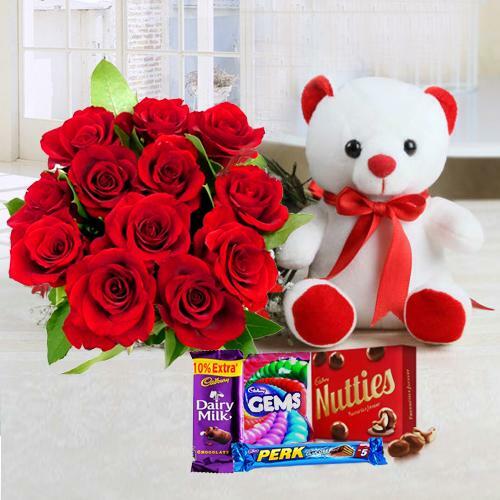 This Gift Set is teamed with Small Teddy, Assorted Cadburys Chocolate and 12 Red Roses Bouquet. Express your love by sweet way with this gift.